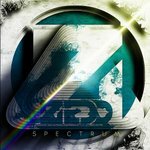 My page has reached half a million likes and to thank you I'm giving away my edit of Zedd - Spectrum. Sending love to each and every one of you. Music has connected us.